House with 3 suites, 1 bedroom with double bed, living room and dining room, balcony, kitchen, laundry area, garden, stereo and 02 televisions. Wide area of ​​laser, with room to run, play soccer and tennis. Weight room. beautiful beach, presence of lifeguards and beach shack for the residents of the condominium. 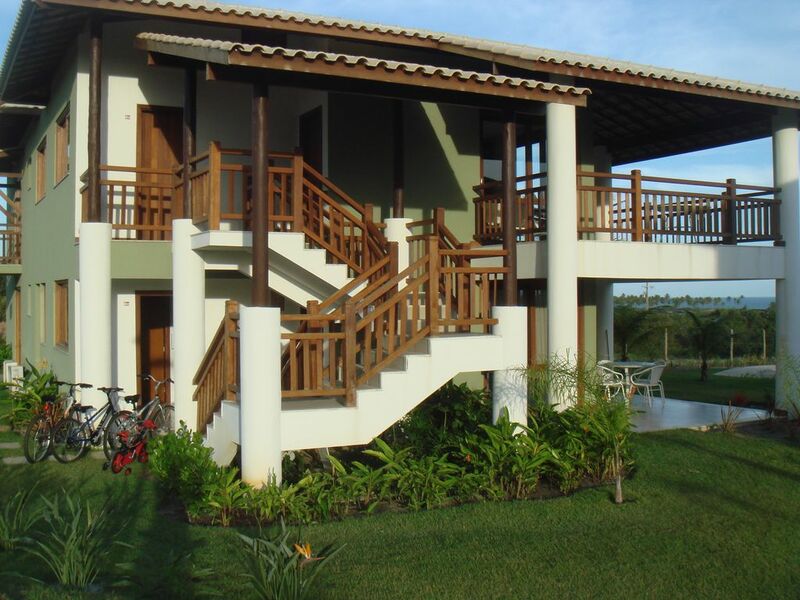 The house is situated in the same neighborhood of the Grand Palladium Resort is 10 km from the hotel complex Sauipe, 10 km from Praia do Forte and 300 meters from Imbassaí village. This condo is in the Km 66 of the Green Line, inside a gated community called Imbassaí Reserve, in the Terrace of Buganvilhas. Its beaches are deserted and is close to an encounter with the river which is fantastic. Sapiranga Reserve: Another option for laser and unrelated to the beach is know Sapiranga Reserve, a wonderful rainforest forest where you can do sports such as rowing, kayaking, tiroleza and hiking trails. private club with 2 pools of which one for children, 3 tennis courts, two paddle tennis courts, 01 sports court, weight gym. Casa agradavel, arejada, espaçosa, condominio maravilhoso, excelente estrutura, com tudo que precisamos para desfrutar de momentos de lazer e diversão. O proprietario é muito atencioso e esteve atento as nossas necessidades durante todo o periodo de estadia. Gostamos muito! O grupo de Viviane foi muito cuidadoso com nossa casa. Não tenho nenhuma queixa e só tenho a agradecer. Me sinto feliz que tenham aproveitado e gostado. Esperamos que voltem outras vezes e os recomendo como excelentes hóspedes. House is within the Condominium Reserve Imbassaí at the same venue the Grand Palladium Resort, safely, tranquility and facilities to spend a weekend or vacation. Shopping center within the condominium, which is next to the Imbassai Village, with good restaurants. Beautiful beach !!! Tarifas variam de acordo com o período do ano e tempo de locação, favor entrar em contato por e-mail ou telefone para fazer o orçamento.